The first 13 minutes of the Geronimo Bie Documentary is now online on Geronimo Bie Documentary Movie Youtube, and the www.Geronimo-Movie.com website! Subscribe to this website and the Youtube Channel for updates on how to access the Full Movie, coming soon. Help support this documentary by making a contribution via Paypal. Our Indiegogo Campaign is now CLOSED. 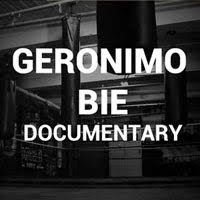 'Geronimo Bie' Documentary Movie / Albert Art Creative / Other Side Films Vancouver Canada. Simple theme. Powered by Blogger.